However, in /System/Library/Java/Extensions I found a number of files. This time it worked. Hope that helps somebody. 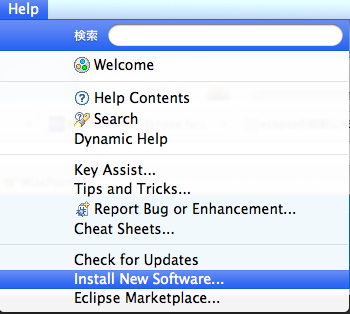 Apple’s Xcode Developer Tools (version 3.2.1 or later for Snow Leopard, 3.1.4 or later for Leopard, or 2.5 for Tiger), found at the Apple Developer Connection site or on your Mac OS X installation CDs/DVD. Ensure that the optional components for command line development are installed (“Unix Development” in the Xcode 3.x installer). The X11 windowing environment (A.K.A. “X11 User”) for ports that depend on the functionality it provides to run. 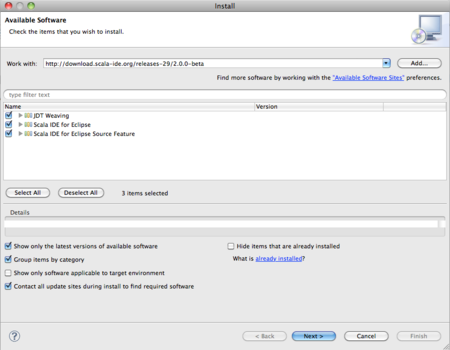 The “X11 User” package is an optional installation on your system CDs/DVD for Tiger, enabled through the “Customize” button of the installer, whereas it is included by default on Leopard and Snow Leopard. You can use the xorg-server port instead of Apple’s X11.app if you wish. Error: Please use one of the numbered scala* ports instead. 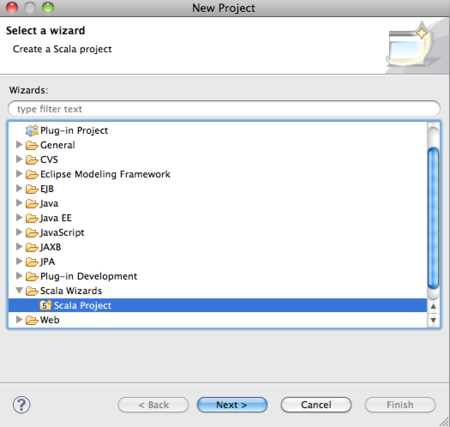 Welcome to Scala version 2.9.0.final (Java HotSpot(TM) 64-Bit Server VM, Java 1.6.0_24). Welcome to Scala hack-a-thon ‘s documentation!